TL; DR: In 2009, the major US advertising trade associations joined together to establish a set of self-regulatory principles that balance consumer privacy expectations with the continued growth of the digital advertising industry. To manage the program, the industry created a new organization, the Digital Advertising Alliance (DAA). The DAA’s mission is to create and enforce advertising best practices on the web. By focusing on transparency and consumer control, the DAA’s YourAdChoices Program helps publishers and advertisers engage consumers with interest-based advertising in a way that builds brand trust and positively impacts bottom lines. An ideal location for many retailers, the mall attracts consumers seeking the latest in fashion, tech, and other popular merchandise. On most afternoons, the corridors are flooded with people wearing trendy clothing and texting on their new smartphones. And today was no different as Candace walked through the automatic doors. An avid connoisseur of sushi, skinny jeans, and wearable tech, Candace was on a mission to find her newest outfit. As she stepped into the store, the sounds of pop rock filled the air, adding to the excitement of buying her new get-up — a mix-and-match of designer jeans, sneakers branded by a popular band, and a hooded jacket with built-in headphones. When she saw the outfit, it was just as she imagined — or, rather, just as she’d seen on the banner ad based on visits to one of the fashion blogs she frequents. The digital banner was effective in drawing Candace to the store because it spoke directly to her interests — an ad strategy made possible by the Digital Advertising Alliance (DAA) and the organization’s efforts to ethically deliver relevant ads without compromising consumer privacy. DAA aims to give consumers greater transparency into privacy practices and control over how their data is used online. 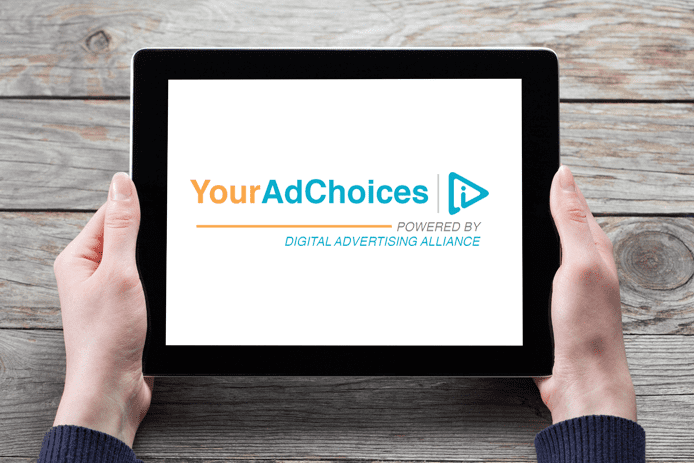 Through its YourAdChoices program (or just AdChoices, for short), the DAA is committed to establishing and enforcing self-regulatory principles that promote responsible approaches to the collection and use of consumer data for interest-based advertising. By working closely with government policymakers, industry trade associations, and hundreds of individual companies, the DAA works to create an environment of trust between consumers and the brands they encounter online. In 2009, digital advertising in the United States was on a skyrocketing growth path, having already passed radio and newspaper revenue, and it was drawing the attention of policymakers, including the Federal Trade Commission (FTC). Through a collaborative process with stakeholders, the FTC proposed the establishment of self-regulatory guidelines by the industry that would give consumers information about — and control over — the use of their data for interest-based advertising. 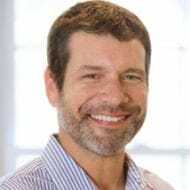 In response to that call, the major digital advertising associations created the Self-Regulatory Program for Online Behavioral Advertising, and the Digital Advertising Alliance was subsequently formed to manage the program. When DAA launched its AdChoices program in 2010, the vast majority of online activities were still done via desktop and laptop computers. However, with the arrival of the iPad, as well as the increasing popularity of smartphones, this was beginning to change. Deciding that Apple shouldn’t have all the fun, many companies, including LG, RCA, and Motorola, decided to jump onto this profitable new bandwagon. As a result, this flood of cheaper, more affordable models of both smartphones and tablets made mobile activities much more accessible. DAA’s AdChoices program was built to enable the ethical delivery of interest-based ads across devices. In just a few short years, the DAA would have to create additional guidelines for mobile-based data collection, eventually leading to the 2015 release of AppChoices, which allows mobile users to opt out of the collection or use of data for IBA. With AppChoices, consumers can rely on transparency and privacy protection no matter where they go online. Although DAA’s AdChoices program has only been around since 2010, it has already vastly improved the advertising industry. Interest-based advertising uses data about what groups of consumers like to do and see online, so advertisers can create a uniquely tailored customer experience. For example, an online travel company might want to reach groups of consumers who have recently visited travel blogs or searched for vacation destinations. While this type of personalization allows advertisers to promote products relevant to individual shoppers, DAA requires this be done in a transparent way, so consumers can learn more about the ads they receive and opt out of receiving such interest-based ads in future. The most accessible way to get that information and choice is through the AdChoices icon — a small blue triangle that appears on or near all interest-based ads and on websites and apps. By simply clicking on the icon, consumers can get information about the companies that served them the ad and opt out of data collection and use by those companies for IBA in future. DAA benefits consumers and business alike by helping build brand trust that results in increased conversion rates. While the DAA was primarily created to offer consumers information and control over their data for IBA, its self-regulation practices benefit businesses in a number of ways. For example, customers are much more likely to trust — and do business with — a brand that respects the privacy and intelligence of its client base. Publishers and advertisers engaged in responsible data use also have the power to build more accurate consumer audiences, as customers who allow that collection are already of a responsive mindset. Responsible data collection and use not only leads to greater brand trust, but also to more appropriate advertising. Instead of throwing a ton of ads at every consumer, the DAA helps companies offer a much more selective approach. By helping advertisers deliver relevant advertising, consumers can reduce the annoyance of the unwanted generic “spammy” ads they see. On the other hand, customers are more likely to respond to a handful of highly relatable and eye-catching ads that actually pique their interest. By analyzing consumer data, advertisers can also determine the most appropriate ad content for groups of customers with similar interests. By keeping pace with new business models and ad formats, the DAA also ensures that the AdChoices icon can appear in nearly every type of ad used today, including banners, mobile, videos, social media, sponsored content, and more. Since 2009, the DAA has witnessed — and adapted to — a number of industry changes to keep AdTech safe and effective, releasing new guidance in areas ranging from multi-site data to mobile, video, and cross-device environments. DAA holds an annual summit that brings together leaders from the private sector, government, and academia to discuss the latest industry trends and issues and how they will impact the collection and use of data. Notably, however, while an ever-increasing number of companies are learning about and participating in the DAA’s program, the DAA’s independent self-regulatory enforcement covers all companies, even those who do not take part. In less than a decade, the DAA has helped enable the revolution in online advertising by advocating for a system that balances consumer control with industry growth. With transparency around responsible advertising, thousands of brands and millions of customers take part in a mutually beneficial relationship wherein the right ads are presented to the right people. As a result, businesses experience higher conversions while cultivating brand trust.